Private Health Insurance Reforms – what are the changes in 2019? You might have noticed recently there has been a lot of talk about changes to private health insurance funding for exercise classes. So we have put together a summary of what these changes are, and how they may affect your insurance rebates. These changes will take effect from the 1st April, 2019. In 2018, the Federal Government announced its plans to make certain natural therapies ineligible for private health insurance (PHI) rebates. You may have noticed that Pilates was mentioned in these reforms. This means that as of 1st April 2019, any service called “Pilates” that is delivered for fitness or wellbeing will not be rebatable.The good news is, following lobbying from physio advocacy groups, the reform was modified to permit physiotherapists to continue to deliver rebatable exercise rehabilitation classes that draw from Pilates repertoire, amongst other styles of exercise therapy. At TRP how we deliver and manage our exercise rehabilitation classes already complies with the new PHI rules – we provide personalised and clinically relevant exercise therapy interventions to patients. So, you should be able to continue to claim your rebates, just as you have prior to the reforms, provided your attendance is clinically justified (see below). There are a few small administrative changes required to avoid any confusion with health insurance companies once the reforms take effect, which we have taken care of for you. Of course, if you attend our exercise rehabilitation classes and do not claim rebates from a private health insurance company, then the reforms will not affect your payment or attendance in any way. Are there changes to my classes? In line with our current approach at Thompsons Road Physiotherapy, attendance in our classes needs to be clinically justified. This means you will need to be working with a specific issue and have clear goals that you want to achieve by attending classes. These goals will be monitored and evaluated by your physiotherapist. You will need to undertake regular 1:1 reviews with your physiotherapist to ensure that your program remains relevant, effective and clinically justified. If you have achieved your goals (well done! 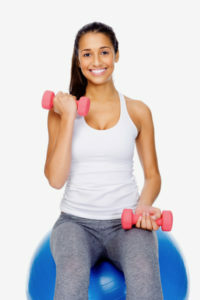 ), or are no longer working with a problem, then you may need to discuss your exercise options with your physio. Our Friday morning 8am circuit classes will not be rebatable after 1st April 2019. At only $22 per session it is already great value!Classes at leaf+bird wellbeing will not be affected as they were not rebatable prior to the reform. How do I ensure my classes are rebatable? Can I still attend classes for fitness and wellbeing? Yes, but you may not receive a rebate from your insurance company. Under the new reforms, exercise classes can only be funded if they are being used for therapeutic/clinical purposes. This means that you must have specific goals and reasons for attending, and exercises must be tailored to your individual needs. If you wish to attend for general fitness and wellbeing, then you can continue to and should consider privately funding your classes. You can buy a 10 x pack of classes for only $350. At Thompsons Road Physiotherapy we have delivered cost-accessible high quality classes since we opened our exercise studio. Our classes are less expensive than many other physiotherapist-led options in the community, and provide a fantastic safe, supportive and evidence-based space to exercise in! You can speak to your treating physiotherapist or contact Lauren (lauren@trpphysio.com.au) or Mayur (mayur@trpphysio.com.au) if you have any queries.